time with family … extra income … freedom from debt … an overall balanced and healthy lifestyle. Whether you are looking to get healthier, lose weight, gain energy, gain muscle or increase your athletic performance, Advocare nutritional products are for you. AdvoCare offers top quality, effective nutritional and sports performance products that are available at a discounted price for everyone. These supplements are for anyone, from the professional athlete to someone just wanting to lose weight and gain more energy, and everyone in between. Joining team AdvoCare empowers individuals to explore their ultimate potential. When people try the products, the positive testimonials pour in: "I feel better than I have in years." "My energy level is unbelievable." "AdvoCare has changed my life." AdvoCare focuses on wellness and provides an opportunity to enrich your life in the way that you choose. Individuals from all walks of life are realizing the unlimited income potential and creating a more balanced life when they share our world-class products and opportunity with others. Another bonus is our DebtBuster® system that provides a simple method for targeting your creditors and becoming debt-free - a system so effective it received the Education for Life award from the Direct Selling Association (DSA) in 2002. In June 2008, AdvoCare received the prestigious DSA Innovation Award. The DSA honors the industry's best of the best at the Annual Awards Banquet. Individuals from all walks of life are realizing that through AdvoCare they can find the “more” they’ve been looking for and help others along the way. You can too. Start today. AdvoCare offers a proven vehicle for success. You can earn income quickly and take advantage of a business opportunity that can last a lifetime. Many families across America are discovering the joys of running their own home based business and seeing that they can reach their true potential. Your timing is perfect. The major areas of concern among today’s consumers are nutritional and financial well being. 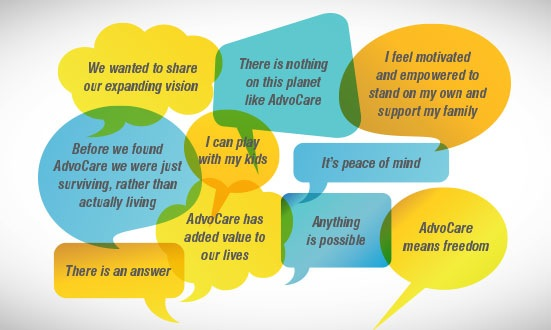 The AdvoCare products and business opportunity are poised to meet the growing numbers of Americans who are searching for answers to meet their healthcare and budgetary needs. Since 1993, millions of product users have experienced amazing results with weight loss, renewed energy and a new level of physical and financial fitness by using the AdvoCare products. Our energy drinks and nutritional supplements have helped people achieve a more healthy and active lifestyle. There are many others out there who desire a way to feel better, look better and get more out of the their lives. At AdvoCare, we build champions. 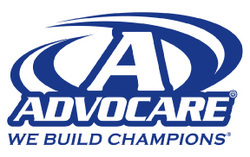 Become a part of team AdvoCare and see how you can reach new levels of success.